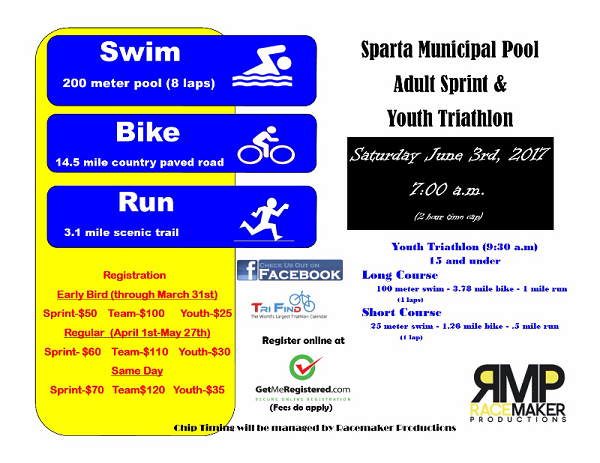 Swim, bike or Run is $25 for each discipline. All athletes under the age of 14 MUST be accompanied by an adult. Registration deadline to receive a T-Shirt is Friday, May 26th, 2017. For more information or any questions please click the "Contact the Organizers" button on the left-hand side of your screen. When this page loaded, the official time was 8:14:16 AM EDT.